Home > Posts for Employers > Cloud computing solutions – is it for you? 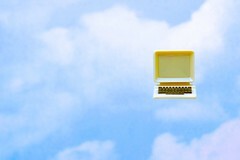 The trend is growing towards Cloud Computing and undeniably, the uptake is accelerating. The term “Cloud”, as used in the Information Technology context has been around for a long time. I recall having the concept of Cloud computing explained to me as far back as 1999. Today it’s a reality and the term “Cloud” is essentially a metaphor for the Internet. It’s essentially a system which makes software, platforms or even complete company IT infrastructures globally accessible to users through whichever device they wish to use. All they need is a web browser. The most common models of Cloud Computing Services are known as Software as a Service (SaaS), Platform as a Service (PaaS) and Infrastructure as a Service (IaaS). These Cloud services may be offered via public, private or hybrid networks. I would be the last person to claim that putting your business on the Cloud will lead to everything you could want. Initially you will probably need to adapt your business processes to suit the Cloud versions of the applications you use. For example, we found our accounting system needed a bit of caution in the early days. However, over time these updated processes will quickly become entrenched and old habits discarded. For IT Managers, ensuring employees have the essential hardware and software to do their jobs is key. IT Managers are usually required to purchase PC’s, servers, modems/routers, hubs, and software licenses etc… Coupled with the cost of paying someone to both set-up and keep the technology running. Not to mention dealing with hardware and software issues, back-ups, software patches and updates which all added to IT costs. Often the infrastructure costs and the cost for applications, support, implementation and user licences are not easily broken down. As such, managers find it difficult to establish the true cost of IT in terms of CAPEX and OPEX. Moving a majority of software to the Cloud can negate a lot of this cost, leading to improved profitability and subsequent increases to the bottom line. I believe Cloud computing solutions will eventually become the norm for most users, whether moving all, or just part of their computing services to the Cloud. We need look no further than to Google applications to see how successful the Cloud has become. In the final analysis, it’s the flexibility that Cloud computing has offered MTR that has proved the greatest advantage.